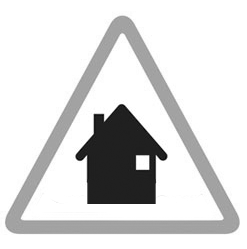 Properties on Fouracres and The Crescent which are at risk from surface water flooding. The area bounded in blue on the map shows the area covered by flood alerts and warnings for Fouracres and The Crescent at Maghull. Properties on Sefton Lane near to Dovers Bridge including the Waste Transfer Station, Garden Centre and adjacent properties. Properties on or just off A59, Hall Lane, Fouracres, Maricourt School, Brook Rd, Station Rd, Sefton Lane & Old Racecourse Rd. The lowest lying properties nearest to Whinney Brook on Hall Lane, Damfield Lane, Eastway, Newelyn Avenue and Foxhouse Lane.